BoscoNet is a secular organisation working towards the goal of empowering the young in South Asia Region. The organisation, its mission and methodology are inspired by Don Bosco.He was himself orphaned at the tender age of two and he dedicated his entire adult life to the service of children and young people, particularly the poorest among them. A few admirers and followers of this ‘Father of the Young’ – Salesians, alumni and well-wishers – have come together to form this organisation to carry forward the vision and mission of Don Bosco. The Salesians of Don Bosco are our first and privileged partners in this work. They guarantee the quality of the education and services offered to poor children with our support. We invite all men of good will to join hands with us to achieve this goal of universal brotherhood and a place in the sun for every child of God. SAVIO is a non-profit organisation founded in Slovakia, based on Salesian style, creating space for solidarity with the poor and improving lives of young people in less developed countries. Through projects, fundraising campaign and volunteering, we help people in difficult life situations. Don Bosco Jugendhilfe (JuWe) is an NGO founded in Switzerland in 1980 to support the projects of Salesians of Don Bosco. Project work was started in Brazil, and over the years expanded in Latin America and a few years later all over the world. JuWe has the objective of providing children and youths from destitute backgrounds an aid in their existence, a Christian upbringing, and education. As it was for Don Bosco, vocational training is an important aspect in our work. A skill-oriented and closely to the workplace related system combined with personal development training allows young people to progress according to their individual talents and situation, regardless of their background or social status. JuWe promotes actively the dual education system in the projects, in order to empower young people to live independently, that they are able to support their families and make their contribution to a working society. The main aim of the SWM and his members is to assure active support for people, especially young ones, living in the poorest regions of the world. We are implementing this through supporting the missions, sending volunteers and setting up infrastructural projects developing local societies. In Poland our activities are focused on implementing educational programs for children and youth, to acquaint polish youth with the development issues and global problems. Don Bosco Mondo is a non-profit organisation committed to supporting disadvantaged youth worldwide. As their advocate, the MON mobilises personnel, spiritual and financial resources, and it also aims at spreading and increasing the enthusiasm for their joint efforts. Don Bosco Mondo sees school education and vocational training as the key to empowering young people to live independent lives free from poverty. In close partnership with the Salesians of Don Bosco and the Salesian Sisters of Don Bosco, assistance is provided to more than 15 million children and adolescents beyond all limits. VIA Don Bosco is the Belgian NGO of the Salesians and the Sisters of Don Bosco. In three important regions of the South (Africa, South America and India) it helps battle poverty through educational and training projects. In line with the tradition of both religious congregations,VIA Don Bosco focuses on underprivileged population groups, in particular youth. The partners in the South are active in schools offering vocational training, youth centers or shelters for street children. They organize training courses for agricultural communities and women’s groups, and study to ensure proper management of the projects in which they are involved. Solidaridad Don Bosco is a Non-Governmental Organization (NGO) of development promoted by Salesians and formed by women and men who live convinced that a more just and solidary world is possible and necessary. We favor the integral promotion of the persons and the villages of the impoverished countries, specially of the young persons in situation of risk and social exclusion, promoting projects of training and social and professional insertion. We stimulate offers of personal and community development, facilitating spaces of participation that encourage an active citizenship that will be an engine of change. Salesian Missions Office for International Programs (SMOIP) is the global development arm of Salesian Missions, Inc. SMOIP supports the projects of the Salesians of Don Bosco globally through partnerships, new programs with the U.S. government, and in-kind donations. Through the links to our various programs, we hope to give you an overview of the projects we implement throughout the developing world. Jóvenes y Desarrollo is a non-profit and Non-Governament Organization (NGO) of solidarity that was born in 1988 linked to the associative movement of Salesians of Don Bosco. Our principal purpose is to cooperate for a sustainable, human, social and economic development in order to contribute to the eradication of the poverty in the world. In JyD we offer special attention to childhood and youth, prioritizing the education as the most effective tool. In this sense, in the year 2006 we were qualified by the Spanish Agency of Cooperation as an Specialized Organization in the field of Education. 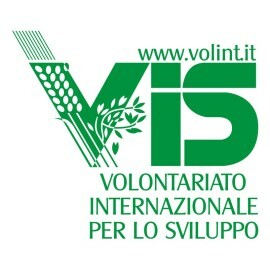 VIS is Italian NGO working particularly in the education and training sector, with International cooperation projects, through a holistic approach to educate, teach and sustain children and youths at risk socially, to guarantee vocational training, work access and social rehabilitation, to promote human rights, particularly the rights of children and older youth. VIS promotes training activities in Italy and in the European Community, and works throughout the world, carrying out human development, cultural and socio-economical programs.